From her time in Man Ray’s studio to her filming with Jean Cocteau to her collaboration with Pablo Picasso, Lee Miller’s photography has always been intimately linked to her personal relationships. This phenomenon culminated with her celebrated marriage to the British artist and poet Roland Penrose and the series of mutually inspired works the couple produced. The Out of the Ordinary exhibition explored the artistic process behind Lee Miller’s photography and the network of relationships that formed the canvas for her work. Alongside a selection of Miller’s most compelling images, the exhibition featured a collection of photographs, etchings, and lithographs by Penrose. CLAIR Gallery presented Out of the Ordinary from May 19 to July 14, 2016 at Franz-Joseph-Strasse 10 in Munich. Lee Miller was born in 1907 in Poughkeepsie, New York and first entered the photography world as a model for such photographers as Edward Steichen and Arnold Genthe. In 1929, she went to Paris to work with Man Ray and start her own photography. Over the course of her career, she gained acclaim for her fashion photography with Vogue, her World War II photojournalism, and her iconic portraits of artists such as Picasso. Miller died at Farley Farm House in the UK in 1977. To learn more about Lee Miller, visit her CLAIR Gallery artist page. 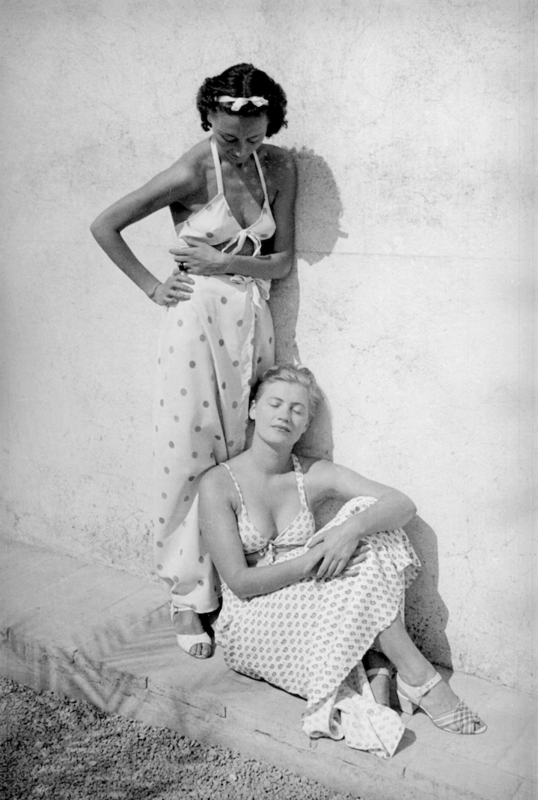 Purchase Information: The featured image is Nusch Éluard and Lee Miller, Mougins, 1937. The photograph was taken by Roland Penrose.© Roland Penrose Estate, England 2016. All rights reserved. Courtesy CLAIR Gallery. For purchase inquiries, please contact Anna-Patricia Kahn at anna@clair.me.